At S & J Controls, LLC, our mission is to provide all of our customers with the highest quality and most efficient services. We deliver outstanding control panels alongside machine guarding systems and consulting services. Our knowledge and expertise in machine controls gives your business a valuable turnkey solution. S & J is designed to be a complete service provider for businesses in need of high-quality panel design. We work with you throughout the entire process, including panel design, assembly and installation, giving you the peace of mind that you’re getting exactly what you need out of your project. Our team has the design and engineering capabilities needed to upgrade or replace OEM machine control systems and existing panels, as well. If you have a unique project, no worries—we offer custom designs and build-to-order services. No project is too big or too small for us to handle! All of our work complies with federal safety standards, meaning you are getting a high-quality product that will be safe and operate as intended for years to come. 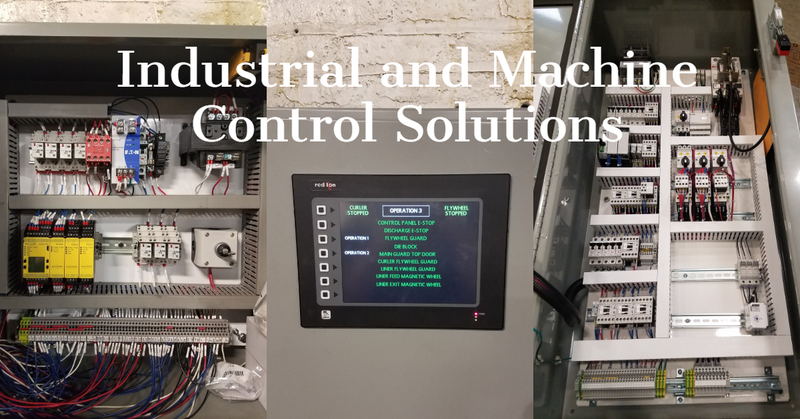 To learn more about our machine controls and panel design services, we encourage you to contact us today at 1-877-444-8711. We look forward to working with you and answering your questions. Arrow Industrial Solutions, LLC is a full-service machine guarding and safety compliance solutions provider, assisting clients with consulting services, guarding design, monitor/control systems and complete integration.